Chardonnay is a stunning new catamaran available for charter just south of Pattaya at the Ocean Marina Yacht Club. It has been luxuriously decorated and has the most recent LED technology installed to create an atmosphere of relaxation and serenity. There is onboard wi-fi which enables guests to keep up with world affairs and also local events in Pattaya. Chardonnay has three deluxe staterooms; furnished with one king size bed and two singles. 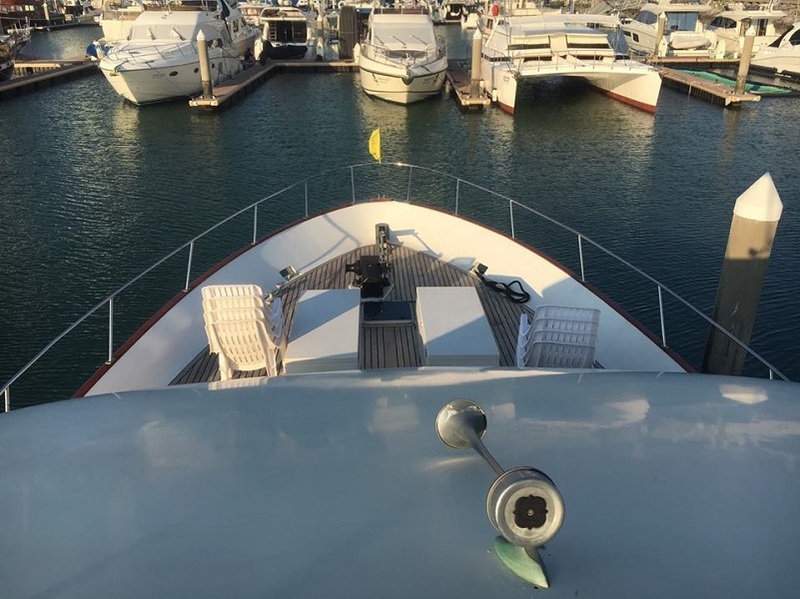 The Chardonnay has an attentive crew and every member of the vessels conscientious team, including deck hands, galley staff will do all in their power to guarantee your time on board is enjoyable and relaxing. Pattaya Central can offer silver service corporate events on The Chardonnay. Staff employed for such events are trained by The Sheraton Pattaya and will provide an excellent professional service for any occasion. Snorkeling, fishing gear and kayaks are available for those who wish to indulge or simply lounge on the large sun deck which is perfect for sun baking or simply admiring the water views.